Spark New Zealand continues to “relentlessly” execute on its well-documented strategy to reshape the company, following a year of “enormous and far-reaching change” for the business. Addressing shareholders for the first time in 2015, Simon Moutter, Managing Director, Spark New Zealand, spoke of an “even bigger” 2014 for the company compared to 2013, as the telco continues to realise the ambition for change set two years ago. “We’ve laid a solid foundation based on a new Spark New Zealand brand that puts customers at the heart of everything we do,” Moutter wrote. 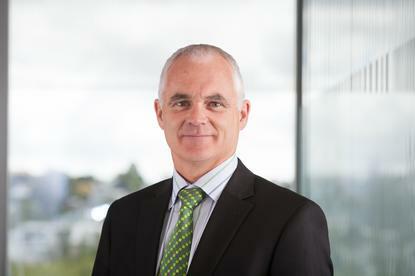 According to Moutter, Spark Home, Mobile & Business has “continually provided” New Zealanders with better value broadband and mobile services, while Spark Digital has continued to support big Kiwi businesses on their path to the future, providing data centre, IT and Cloud capability to ensure products and services keep getting delivered more effectively and efficiently. Furthermore, Spark Ventures has kept growing its portfolio of new businesses, including the launch of Lightbox which is now providing all New Zealanders with increased online entertainment choices. Spark Connect on the other hand has been building a New Zealand data network – including rolling out 4G mobile, re-engineering the telco’s IT stack, and launching fibre services everywhere. “Our financial results reflected the hard work, as well as the challenges ahead,” Moutter added. “They showed that by doing great things for our customers, we’re starting to win. For Moutter, 2015 will be another big year. “While it won’t be easy and there will be significant challenges ahead of us, we’ve put the business in the best position for over a decade to return to genuine, sustainable growth,” he adds. “We’ll be introducing our Digital First programme, which will be all about using new digital service concepts to deliver fantastic customer experiences, similar to the way Air New Zealand has revolutionised the travel process,” he adds. But with 2015 well underway, the man in charge of the turnaround appreciates that it’s also “positive and energising” as the telco continues its most significant reshaping in the company’s history.